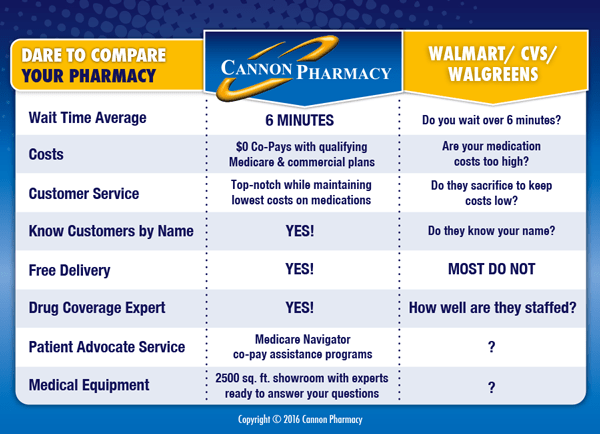 Cannon Pharmacy has been providing friendly service and great prices in the Charlotte, NC area since we were established in 2002. Unlike the big pharmacy chains, we get to know our patients personally and take the time to understand and cater to their individual needs. With six locations in the Charlotte area, as well as an online pharmacy with FREE local delivery, we want to be your family’s partner in healthcare. In order to help our customers focus on getting and staying healthy, we offer a convenient online pharmacy that makes it easy to quickly order, refill, or transfer prescriptions. We even deliver your prescriptions right to your door – for free! Above all, we ensure your overall health and wellness. 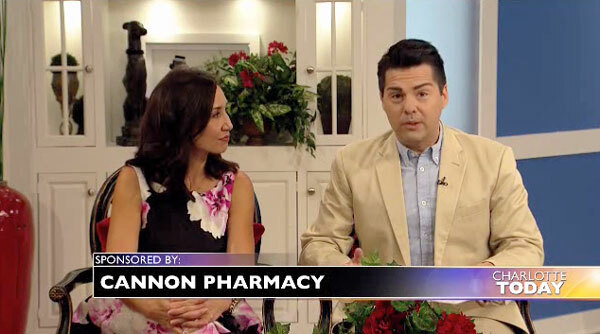 Cannon Pharmacy is your personalized, dedicated neighborhood drugstore, and we look forward to serving you and your family!